Jeff West began his retail career in Visual Merchandising at The May Company. In 1993, West joined The Kellogg Collection in Washington, DC where he served as Visual Director for their five stores. 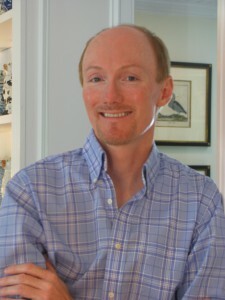 In 2008, he opened Jeff West Home in Rehoboth Beach, DE. West has published numerous articles in New York-based Harris Publications. His homes have been featured in The Washington Post, Coastal Living, Cottage Style, Chesapeake Life, Delaware Beach Life, Delaware Today and Cape Gazette. West has made a name for himself designing home interiors from Washington, DC to Delaware, as well as, in Cape Cod and Maine. His love of classic colors, his passion for incorporating timeless, traditional touches and his knowledge of designer fabrics, custom furniture makers and beautiful, appropriate accessories make a Jeff West designed home truly unique. Jeff West is available for consultation on a fee basis. Call 302-542-5030 for complete information or contact us.